Duck pairs well with sweet citrus fruits. 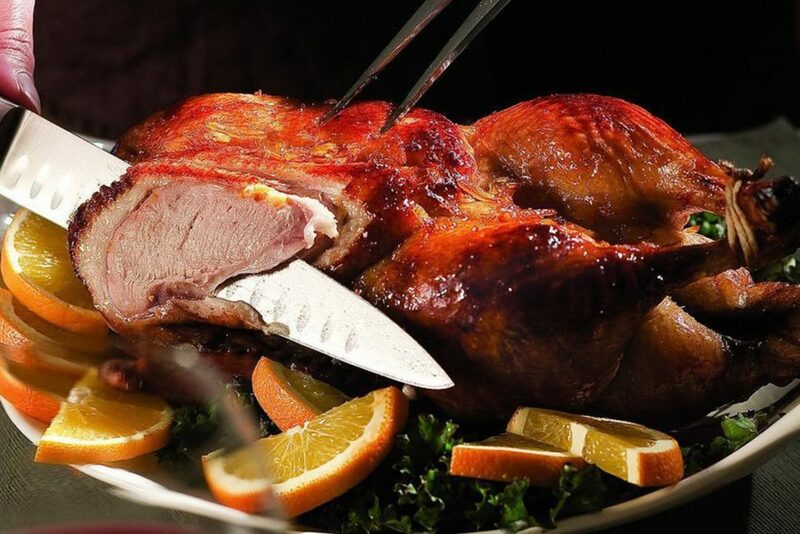 This is a traditional duck recipe that we are sure your whole family will enjoy! 2: Whisk marmalade and 2 tablespoons soy sauce in a small bowl. Loosen the skin over the breast and thigh meat and rub about 3 tablespoons of the marmalade mixture under the skin. Place breast-side down on a rack in the prepared roasting pan. 3: Roast the duck for 1 hour. Remove the duck from the pan and carefully pour off the fat. Return the duck to the rack, breast-side up. Continue roasting, basting every 15 minutes with another 2 tablespoons of the marmalade mixture, until an instant-read thermometer inserted into the thigh without touching bone registers 165 °F, 1 to 1 1/4 hours more. 4: Meanwhile, place the reserved neck and any excess trimmings in a medium saucepan, add broth and bring to a boil. Reduce heat and simmer, stirring occasionally, until the broth is reduced by half. Strain and discard solids; return the broth to the pan. Squeeze the juice from the reserved orange sections into a small bowl; add cornstarch and whisk until smooth. Stir the juice mixture, reserved zest and brown sugar into the broth; cook over medium heat, stirring, until thickened. Stir in the remaining 1 tablespoon soy sauce. 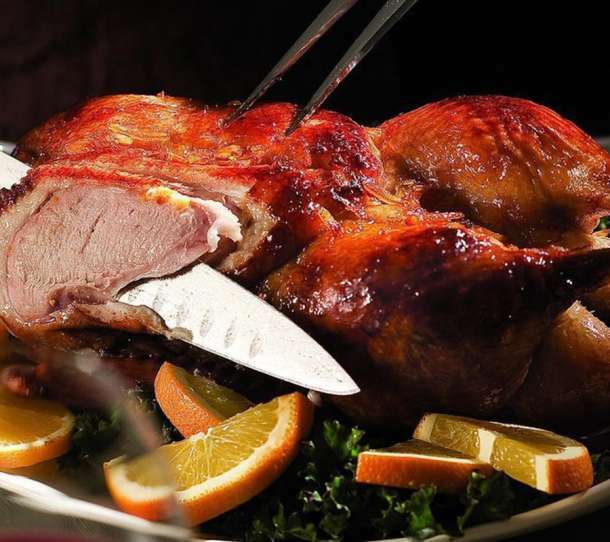 5: Transfer the duck to a cutting board; let rest for 15 minutes before removing the string and carving. Serve with the sauce on the side.